Would you like to find a drug-free, nonsurgical way to feel better and live your best life? 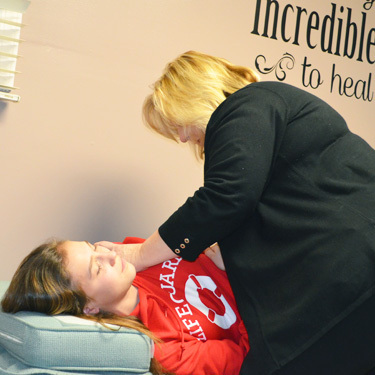 With chiropractic, Dr. Michelle seeks to find the underlying cause of dysfunction in the body. Once located, she can make corrections so that you can live optimally. Most people associate chiropractic care with neck and back pain. Those are common reasons that people visit Healing Hands Chiropractic. A chiropractor’s focus, however, is actually on the nervous system. This system coordinates and controls every organ and system in your body. If it’s free from interference, you can express life. You can think of each segment of your spine like a light switch. It has the power to turn on or off the “light” that can travel to each nerve. When your spine is aligned, you’re “on.” If your spine goes out of alignment, the nerve associated with that part of the spine can’t function. By getting adjusted, your nerves can have the flow they were intended to. When your spine is out of alignment, it is called a vertebral subluxation. This complicated phrase means that there is pressure on your nerves. When this occurs, there is interference in the messages that your brain and body send to each other. By correcting subluxations, your body can express life to its greatest ability. 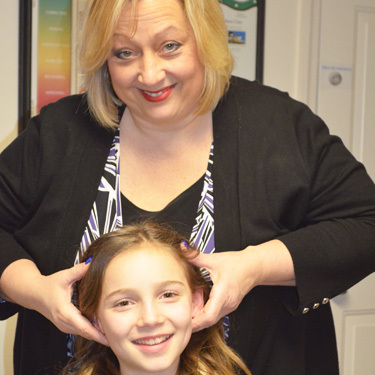 Dr. Michelle’s primary technique is called Gonstead. It’s designed to make sure that each part of your spine is in balance. We’ll use a Nervo-Scope, running this device along your spine to sense temperature differences. If an area has a higher temperature, it shows a nerve is being pinched. This approach allows us a great deal of precision. You’ll have the adjustment explained to you before getting started. If you’ve been to a chiropractor before, you may find that Dr. Michelle doesn’t offer the same thing as your previous experiences. Each chiropractor is different, and it’s important to find the one that suits you. Find out what the benefits of chiropractic are for you and your family. Contact Healing Hands Chiropractic today! Your insurance coverage can be used for your visits.